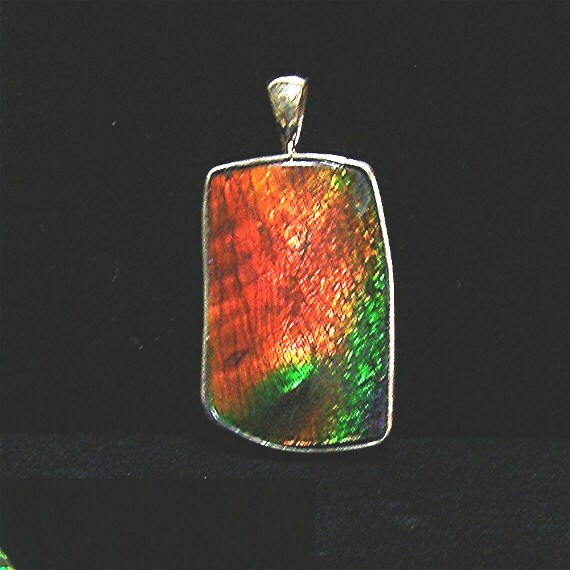 Brilliant gemstone with unbelievable green, red, amber colors. Pendant 14k Gold, Gemstone Rare Horned Ammonite, 35 x 17 mm Free Shipping USA. 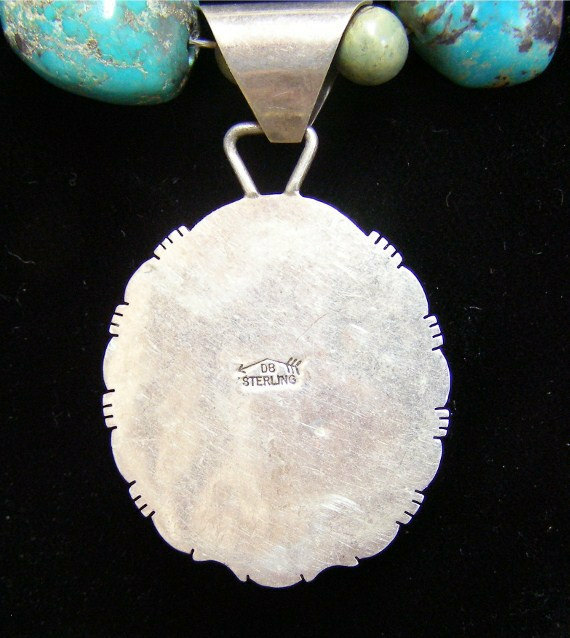 We’ve listed this beautiful pendant in our Fine Jewelry section where it definitely belongs! You can purchase this discounted 20% using the Coupon Code above which includes free shipping in USA. Every item in our inventory is handmade, except for items in our Vintage section,and once it’s sold it’s no longer available but can be special ordered. That’s it! No gimmicks, no tricks. If you like it you can buy it. Just a note here. We’re a mom and pop type outfit. Everything’s made in our shop, none of that “Made in China” stuff here. And if you’re looking for lizards and frog designs you’ll have to go somewhere else. Our jewelry is classic and tailored and fits in anywhere. All of our sales are processed through Etsy via“Veronique’s Catalog” listed on this site. 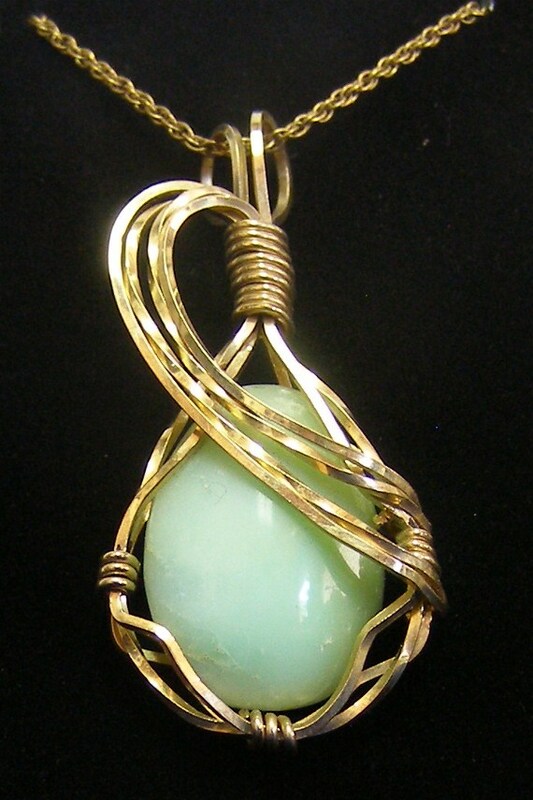 This is a beautiful, large vibrant mint-green gemstone of unknown origin that shines in lots of gold fill wire wrap. Open back allows the green color to show. Really a stunning piece! One of my favorites. Chain not included, but free shipping is. 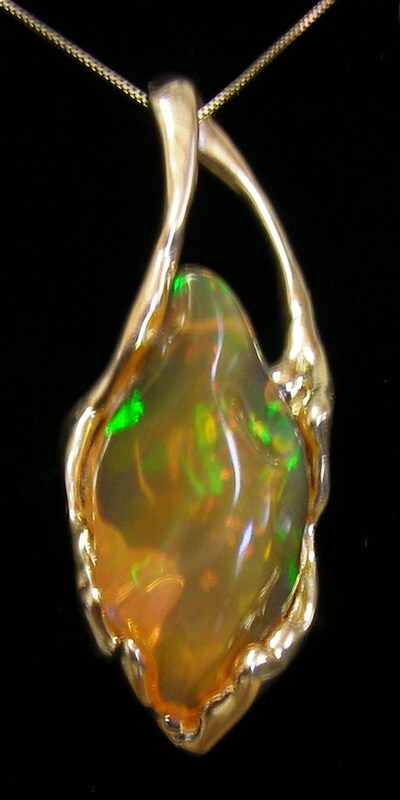 Pendant Gold Fill, Pendant 49 x 23mm, Gemstone of unknown origin. Happy Easter ~ Chalcedony “Jelly Bean” Earrings! 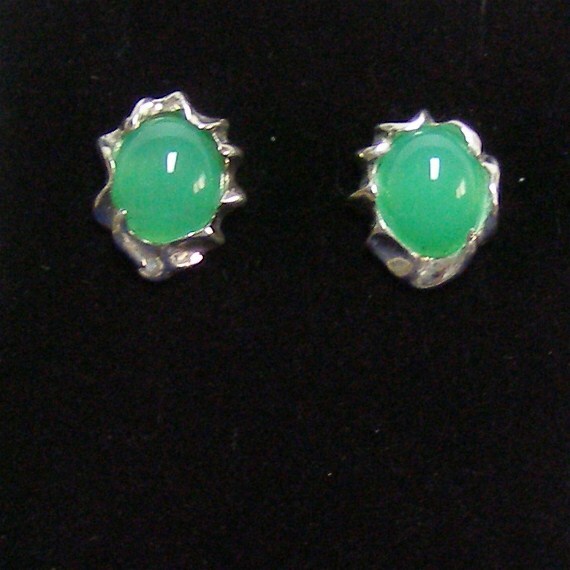 Gemstone Chalcedony "Chrysoprase" Free Shipping.